Home » india news » Did JNU VC violate norms in appointing Madhu Kishwar to academic council? Did JNU VC violate norms in appointing Madhu Kishwar to academic council? 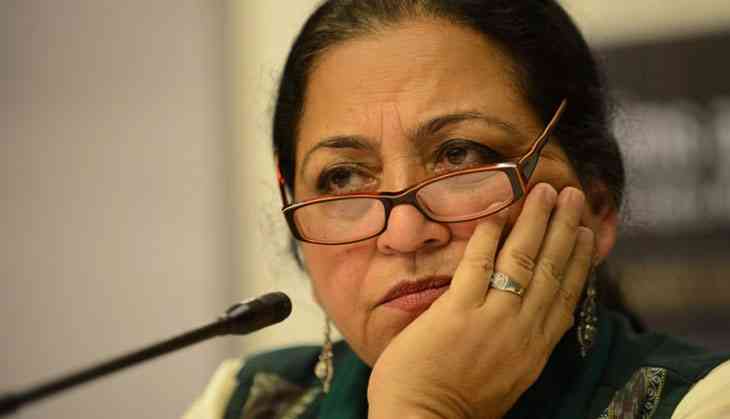 Madhu Kishwar continues to face backlash over her appointment as a member of the Jawaharlal Nehru University’s Academic Council. Many within the academic fraternity are questioning the Vice Chancellor’s decision to appoint Kishwar, a known Narendra Modi supporter. Kishwar has been appointed to JNU's Academic Council to represent the School of Arts and Aesthetics (SAA). A number of JNU teachers, especially those from SAA, have claimed that her name was not on the list of nominees presented to the VC. It is a norm for every school to suggest at least four names, from which the vice chancellor picks one. Dean of School of Arts & Aesthetics Bishnupriya Dutt spoke to Catch and expressed concern with the way the VC overruled the University’s Statutory rules. “We sent six names of people who are prominent in the field of arts. Madhur Kishwar’s name wasn’t part of the list because she has nothing to do with the study of the arts,” she said. She also said that she was unaware of her nomination and that she had not applied for it. JNU teachers' association President, Ayesha Kidwai told Catch that Kishwar must not take the issue personally, saying that the problem is with the V-C using his own discretion. “The VC has violated the statute that clearly says that the person who is to be appointed must be nominated by the School or the Centre. Moreover, the person in question has to be a subject expert. The VC made this decision without consulting the school which is the problem here. It is not about Madhu Kishwar or her political ideology”. Catch spoke to other many other members of the SSA faculty over the decision to appoint Madhu Kishwar. Prof Ravi Vasudevan, film studies and media professor at Centre for the Study of Developing Societies (CSDS) and guest faculty at SAA, feels that Madhu Kishtwar does not have any academic expertise in the field of art and aesthetics. “Many people make documentaries nowadays for their own specific requirements but here the question is of an academic specialisation which is achieved after years of research and work put into a particular field. I don’t think those criteria have been meet in this appointment,” he said. Tapti Guha Thakurta, art historian and professor at the Centre for Studies in Social Sciences, Calcutta told Catch that Madhu Kishwar has expertise is women’s studies but not in art, film studies or performance studies. “I am surprised at the appointment,”she said. Both Tapti Guha Thakurta and Ravi Vasudevan have represented SAA in the AC. Kishwar, founding editor of Manushi, is a graduate of Miranda House and JNU and has widely written on issues of gender and politics. In 2014, she published Modi, Muslims and Media: Voices from Narendra Modi’s Gujarat. Kishwar attended her first Academic Council meeting on Tuesday. The JNU administration found itself at loggerheads with teachers and students once again during the 143rd AC meeting held on the issue of cuts in MPhil and PhD seats on Tuesday. The meeting saw protests outside the venue by students who sloganeered against seat cuts due to the adoption of the UGC gazette notification of May 2016. While the faculty and members of the Academic Council say that the current admission policy is “illegal” and cannot be implemented, the administration said it plans to go ahead with admissions with the seat cuts in place. Kishwar, who attended her first meeting, also had to face slogans. “Such furore over Madhu Kishwar appointment as JNU AC member as though I’ve been nominated President of India! This is not even a power position,” Kishwar tweeted.